Why Do You Need to Check Site Security? Only a few website owners learn that they were hacked or they have been hacked before. Maybe, these website owners think that being hacked is like the exaggerated Hollywood movies. In reality, hacking is less likely to be detected by website owners. These attacks are done that way so it'll cause a deeper damage to the website security layers. As the title says, why do you need to check site security? The answer is simple. Your website is your main business; it earns money for you. Therefore, to check your site security is your responsibility. Your customers are giving you their sensitive information such as credit card details and home address. They deserve the utmost protection from you as well. Why Do Hackers Violate Websites? The reason is varied. Some hackers do it obviously for money but some are for fun – which quite annoying. Also, you never know their real motives. Your competitors might be paying some of these hackers to put your business down. There are different types of injection attacks. Basically, this is an attack where the website is compromised and its data is taken. It aims to weaken the trust of the website customers and users of this existing, compromised website. Even the most expert website security experts are victimized by these fake websites pretending to be the legitimate company website. This is designed to steal sensitive information from plenty of people. This is when the hacker sends massive requests or traffic which flood the system and put it offline or. DDoS may also affect the other websites which share the server. The hackers can use a special software that can guess the password of your website. The keystrokes of a user are traced with the help of a software which the hackers use to hack the victim's account. It is also popularly known as the malicious software. Malware is a general term which is used for malicious things can is inserted in an endpoint. These malicious things can cause several damages on your website. It forces the user to a network of hacked devices which is controlled by the hackers. Such networks are also used for Denial of Service Attacks (DDoS). From the enumerated common cyber threats of hackers, we'll tell you why to check site security is of great importance. It's not only because the website generates money for you but also the people involved in your business are at stake. Remember, a website is a tool to connect with your website customers. Your relationship and reputation are what make your whole business work. Hackers exist since the dawn of the Internet. Through the years, as security has become more progressive, so have their tactics. Moreover, the sheer number of website attacks continue to grow. In 2016, Google reported that the amount of website hacks was up 32% from the year before. As a matter of fact, many website owners believe that they'll never ever going to be hacked, but the statistics show significant number how common website hacking is. 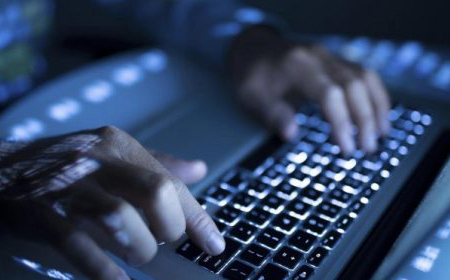 Any website can be hacked by a hacker – no matter how small or big your business is. The more websites they compromise, they better chances of spreading their seeds of malware. Hackers mostly do hacking because they profit from it. A business is not complete without their marketing strategies. You will always want to get closer to your customers hence for using an online platform to reach them easier. When everything is searchable online, you must keep up with the technology advancements as well. If you put your business online, there also a big chance of risking your name as well. This is also a great factor in your marketing as well. Once a customer is affected and the incident in the social media, you can go viral. As being viral is also good, you only want the "good" side of you – not the bad stuff out. Most especially, when the incident is not in your intention to happen. It's a sin to skip the security measures. It's a good thing to be prepared all the time. Sign up to a website scanning tool to see all the vulnerabilities you have.